The Langkawi is an Archipelago made up of around 99 islands, the largest being Langkawi Island. Being a perfect getaway for travellers who wants to experience the relaxing atmosphere amidst tropical greenery and sun-soaked beaches. The island has been branded and promoted as a real holiday destination hot spot paradise with its duty-free port since 1987. Langkawi is rich with legends and folklore, historical landmarks, luscious greenery, scenic lakes and many more as you begin to explore on the island itself. 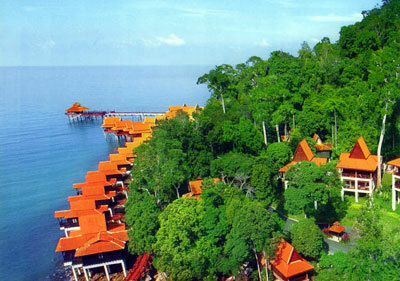 The Berjaya Langkawi Beach & Spa Resort is located at Burau Bay on the island of Langkawi. It takes around 15 minutes to drive to the resort from the airport. Equipped with Malaysian-style chalets and suites and over 400 beautifully decorated rooms, this is a spectacular choice of resort. You may choose from a variety of dining places. You can enjoy both indoor and outdoor recreational options such as the swimming pool, gymnasium, outdoor sports and you can even try the sea activities. Rest assured that all guests are properly being taken care of while at Berjaya Langkawi Beach & Spa Resort.